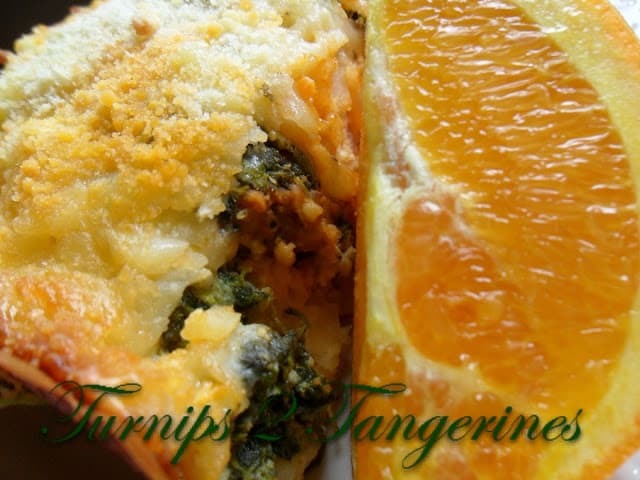 This is a wonderful dish to make for breakfast, lunch or dinner. 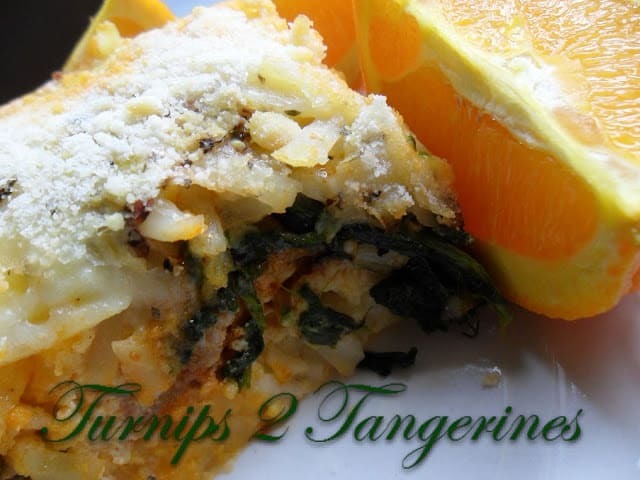 Serve with fresh fruit and you’ll have a fantastic meal. Italian Egg Bake is made with homemade sun-dried tomato pesto. (Recipe for pesto given below.) Also included in this yummy egg bake is Italian sausage, Italian-style cheese blend, frozen hash-brown potatoes, cut-leaf spinach and of course we can’t forget about the eggs. 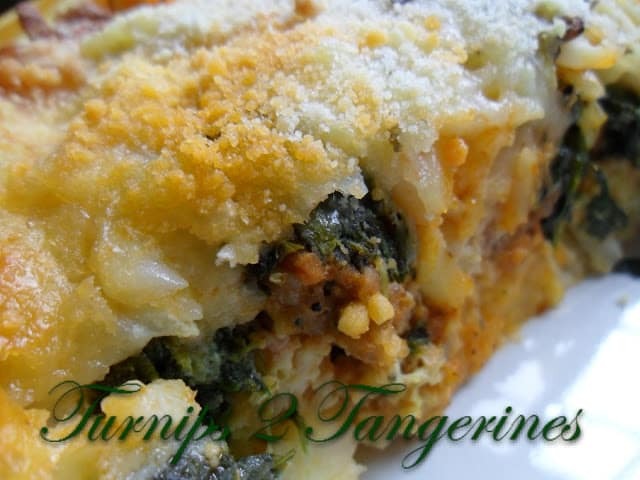 An Egg casserole made with eggs, tomato pesto, spinach and frozen hash browns. Heat oven to 350º Grease 8 x 8 inch square (2-quart) glass baking dish with non-stick cooking spray. In a large non-stick skillet, cook sausage over medium high heat until browned, stirring occasionally. Drain, set aside. In a medium bowl, combine potatoes and one cup shredded Italian cheese blend. In another medium bowl mix together the sausage and pesto. In greased baking dish, layer half of the potato mixture, all of the sausage mixture, the spinach and remaining potato mixture. Top with the remaining shredded Italian cheese blend. In a medium bowl, beat the eggs slightly. Add milk, salt, pepper and Italian seasoning, beat well. Pour evenly over potato mixture, cover with foil. Bake for 1 hour, uncover; sprinkle with Parmesan cheese. Bake, uncovered 15 minutes longer or until knife inserted in center comes out clean. Let stand about 5 minutes before serving.To serve, cut into squares. 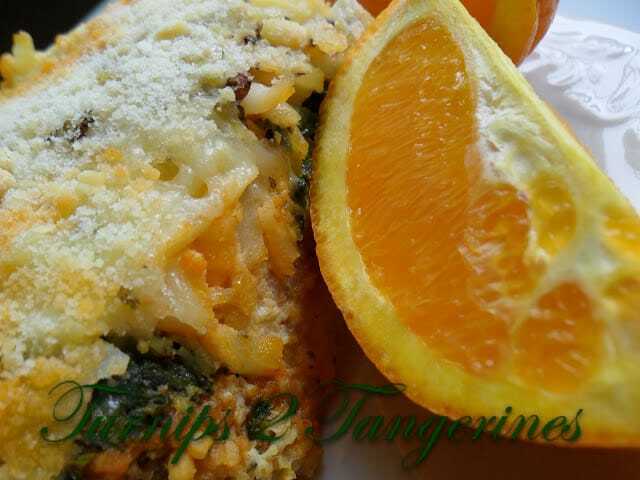 Serve Italian Egg Bake with fresh oranges and small glasses of tomato juice. Sun-dried tomato pesto is excellent made into a dip with cream cheese and is super spread on an Italian cold-cut sandwich or panini. Another fantastic and easy way to enjoy sun-dried tomato pesto is perhaps my favorite way and that is in the form of a BLT sandwich. Instead of using sliced fresh tomatoes, substitute sun-dried tomato pesto. Simply combine a few teaspoons of sun-dried tomato pesto with the mayo. Spread the mayo mixture on slices of toasted bread and layer with crisp bacon and lettuce. Store in the refrigerator, in a glass jar with screw top. Looks like a great dinner! Thank you for sharing this week, Lynn! Mmm, yummy…Can I come over for dinner? 🙂 And do share the recipe for your pesto. It sounds really good!